The task of improving our knowledge and keeping updated on treatment advances and patient care, as a whole, in an effort to provide optimal care, is an important goal for all intensivists. In this regard, improved patient and unit management may prove critical and lead to dramatic changes in patient outcomes . 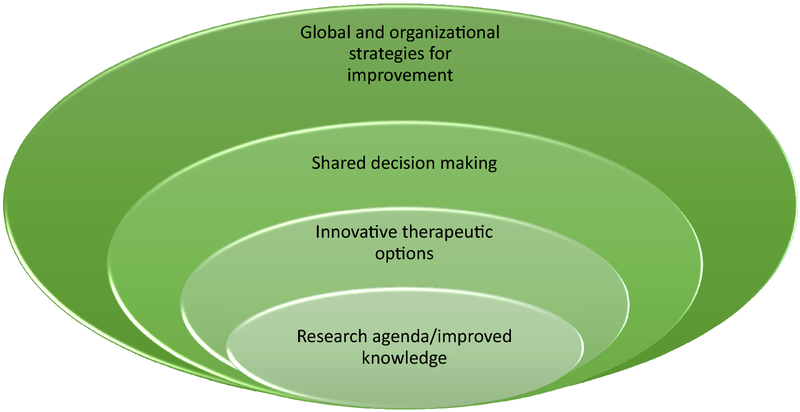 In the current editorial, we focus on recent papers discussing treatment and research advances that may help change our thinking and ultimately lead us to methods for providing better care. Discovered two decades ago, ADAMTS13 (a disintegrin and metalloprotease with thrombospondin type 1 repeats, member 13) has a critical role in thrombotic thrombocytopenic purpura (TTP) ; ADAMTS13 regulates von Willebrand factor (VWF), cleaving powerfully hemostatic ultra-large VWF multimers and regulating therefore their activities . In 2017, Joly et al. described, very precisely, the potential therapeutic targets for TTP patient management in three steps: (1) restoring the processing of the ultra-large VWF multimers by administrating plasma and therefore active ADAMTS13; (2) eliminating potential anti-ADMATS13 autoantibodies, using plasma exchange, steroids, and monoclonal antibodies targeting the CD20 antigen; and (3) targeting large VWF multimers, using dedicated therapies such as caplacizumab (a nanobody directed against the VWF A1 domain), which specifically blocks interactions between VWF and platelet GPIbα [2, 3]. Similarly, Mekontso Dessap et al. discussed the principles of managing critically ill patients with sickle cell disease, one of the most common monogenic disorders . They described multiple mechanisms for the lung injury that occurs as a consequence of necrosis-driven fat emboli, pulmonary artery thrombosis, and infection in patients with functional asplenia. Additionally, they discussed results from the most recent trial in this field and the risk/benefit ratio of blood transfusion in patients receiving frequent alloimmunization . The authors also stressed the need for systematic search (and treatment) of in situ pulmonary artery thrombosis while keeping a high degree of suspicion regarding cor pulmonale that may be found in 80% of patients developing acute respiratory distress syndrome features . ICU-acquired weakness is another growing concern. The improved survival of ICU patients has unmasked severe long-term functional deficits in ICU survivors. In their review, Batt et al. described mechanisms of impaired protein synthesis and marked loss of myosin and myosin-related proteins , and underscored the importance of the recently demonstrated role of mitochondrial disruption and neuromuscular junction degradation in this process . Delirium, identified two decades ago, remains a major challenge and a common complication of ICU stay. Need for a standardized tool, identification of phenotypes, and characterization of pathophysiological mechanisms of delirium and its association with long-term cognitive decline observed in ICU survivors are underlined by Pandharipande et al. . In addition, trials evaluating not only sedation and antipsychotic agents but also impact of sleep optimization and humanization of care on delirium were among priority trials suggested by experts in this field . In this vein, managing patients with underlying malignancy may be challenging, especially in the era of prognostic changes induced by targeted therapies and cell therapies . Authors of the recent research agenda for this field suggested a path toward optimal care utilizing the latest advances in patient care and disease management . They suggested timely ICU admission, remaining aware of the false beliefs in this field, providing a demonstrated standard of care, and managing patients on a day-to-day basis, ideally through daily rounds with the hematologist/oncologist, as a way to avoid premature end-of-life decisions and to allow adequate assessment of a patient’s prognosis . Taking care of an aging global population with a majority of patients living in resource-restricted settings will require a multifaceted and multidimensional approach: at the patient level (e.g., quality improvement, shared decision-making, modified admission and discharge policies, better triage tools, etc.) and at the unit level (i.e., staffing, safety, essential equipment and supplies, and infection prevention and control). Arabi et al. highlighted several target domains, with a special emphasis on changing the ICU culture, which they thought needed to shift from task-centered to more patient-centered care . Pain as a frequent symptom has been widely studied during over the past 25 years. Although there have been substantial advances in pain identification and treatment, important areas for future research remain, including the need for appropriate pain assessment tools for specific subgroups (e.g., burn victims, patients with cognitive deficits or brain injuries) and validation of specific physiological measures of pain, such as pupillometry . This will help us to refine our analgesia-sedation protocols, limit patients’ pain, and focus on patient comfort . Meanwhile, physicians should remain aware of the importance of procedural pain, both in terms of incidence and intensity, the intensity of pain induced by basic procedures such endotracheal suctioning or mobilization, and the multidimensionality of pain . Palliative care is now a well-established approach to improve the quality of life of patients with serious illness. 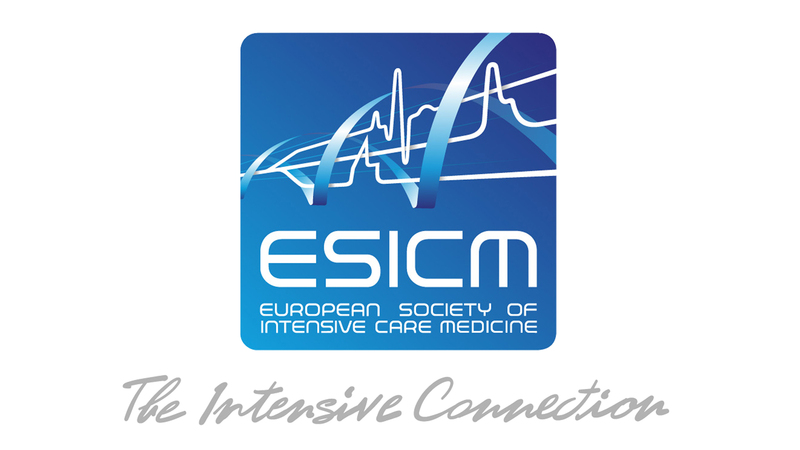 It is widely agreed that comprehensive critical care must address distressing symptoms, include effective communication, and align ICU care with patient values. In the future, how well we listen may become more important than what we know or say. ICU outcome measures will transition from survival to quality of life, acceptable cognition and function, and quality of decision-making . 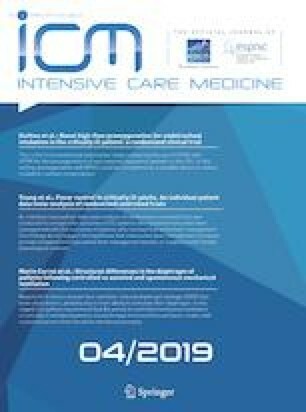 Overall, the manuscripts mentioned above underscore the need for a global approach, taking into account patient perspectives, symptoms, and the functional consequences of an ICU stay. Beyond a global perspective, there are additional unanswered issues concerning a vast range of topics from fluid therapy to the prevention of complications. Most of the fields related to ICU care and perioperative medicine have suffered from the temptation to provide a “one size fits all” approach [14, 15]. Refining our predictive capability while being able to understand the difference between a discriminative model and an adequately calibrated one is one of the first steps towards adequate prediction and risk stratification , which may allow identification of phenotype, and ultimately individualization of treatments . Our goal as intensivists in the coming years will be to broaden our views and address the combined challenges of unstable clinical conditions, complex ethical issues, and the imperative for individualized care, which respects patient values (Fig. 1). The other authors declare having no conflict of interest related to this manuscript.